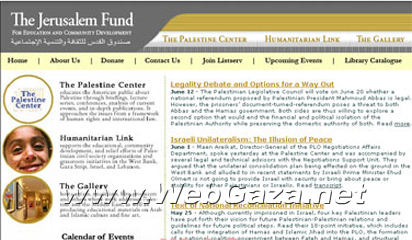 Jerusalem Fund - What is The Jerusalem Fund? The Jerusalem Fund for Education & Community Development is an independent, non-profit, non-political, non-sectarian organization based in Washington, DC. Funding for operational expenses is derived from investment income. This, together with donations from private individuals throughout the U.S., supports our humanitarian grants.